Lately, I’ve become a bit obsessed about baking with almond meal because I have so much of it. Now that I’m making my own almond milk like a boss, I’m left with a lot of left over pulp which I’ve been drying out into almond meal and then upcycling into cakes! Waste not, want not, eh? It was after my latest nut milk production that I decided to give this bake a bit of a makeover, I’ve reduced the butter and the sugar, and increased the almond meal because like I said, I have it in excess! I also had some glace cherries and sultanas left over from my latest Christmas obsession – homemade mince pies – and the juiciness of the sultanas balance out the sweetness of the cherries, just so. 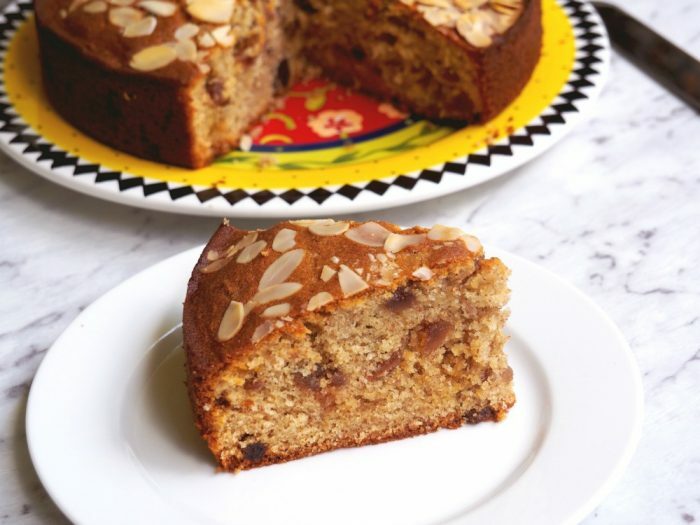 Of course, if sultanas are not your jam, just add some extra cherries to give this bake the fruitiness it deserves. 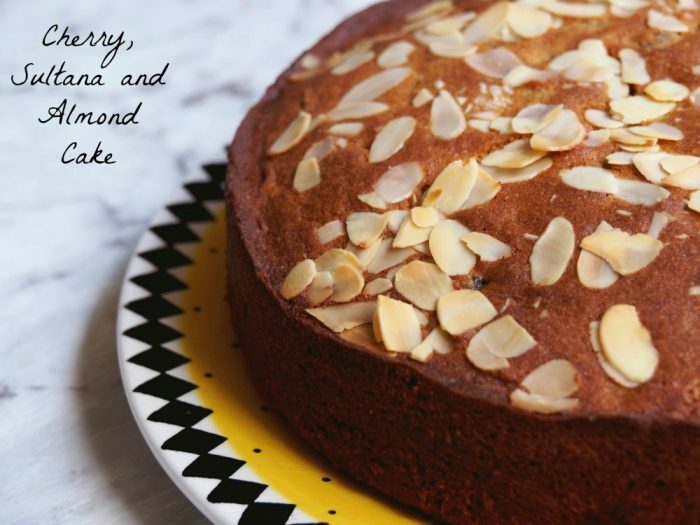 And of course, I’ve added a Thermomix conversion so everyone can have their cake and eat it! I rinse the cherries, let them dry out and then toss them lightly in flour before adding them to the mixture, because this distributes them evenly throughout the cake, but if you’re not bothered about a cherry heavy base then chuck them in with wild abandon. Your secret will be safe with me! Have you ever made your own nut milk? Do you hate wasting food too? Heat oven to 160C/140C fan-forced. Grease and line the base of a 20cm deep cake tin. 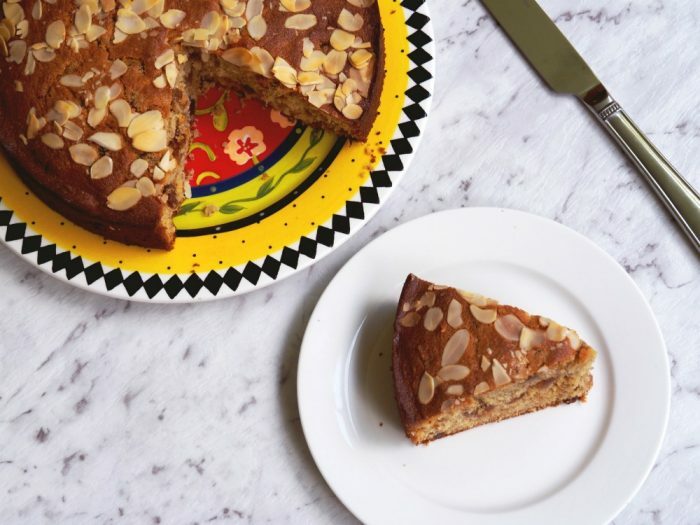 Beat together the butter, sugar and almond extract until light and creamy. Add the eggs one at a time, beating well after each addition until combined. Fold in the flour, almond meal and baking powder, followed by the cherries and milk. 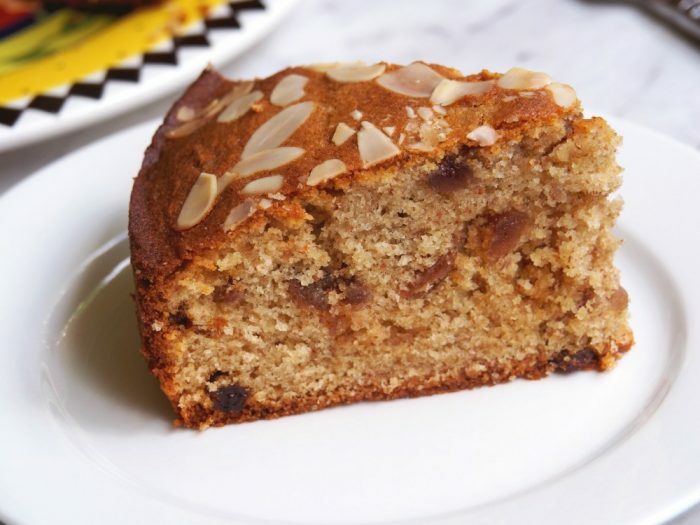 Scrape into the prepared tin, scatter over the flaked almonds, then bake for 1 hour – 1 hour 15 minutes until the top is golden and a cake tester inserted into the centre of the cake comes out clean. Cool the cake in it’s tin before serving. Add the butter, sugar and almond extract to the TM bowl. Insert the butterfly and mix for 1 minute on speed 4. Scrape down base and sides of bowl and mix again for another 1 minute on speed 4. Remove the butterfly. With the blades running on speed 4, add the eggs one at a time through the hole in the lid, beating well after each addition. This should take about 1 minute. Scrape down base and sides of bowl. Add the flour, almond meal, baking powder and milk and mix for 5 seconds on speed 5. Scrape down base and sides of bowl. Add cherries and sultanas and mix for 5-10 seconds on reverse speed 4. 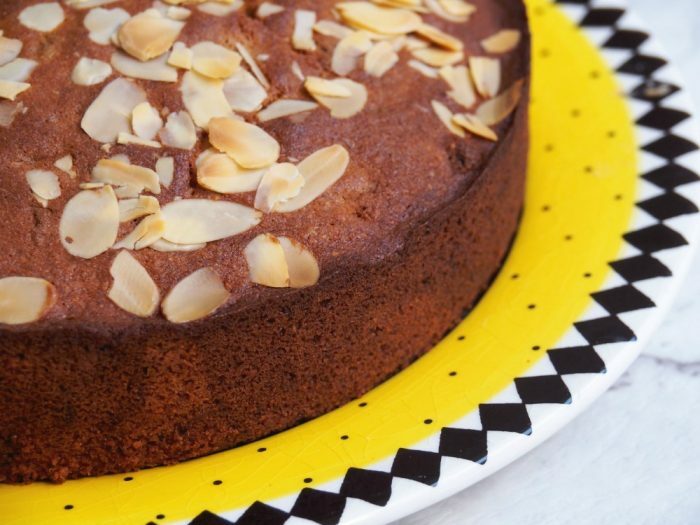 Scrape into the prepared tin, scatter over the flaked almonds, then bake for 1 hour-1 hour 15 minutes until the top is golden and a cake tester inserted into the centre of the cake comes out clean. TIP! 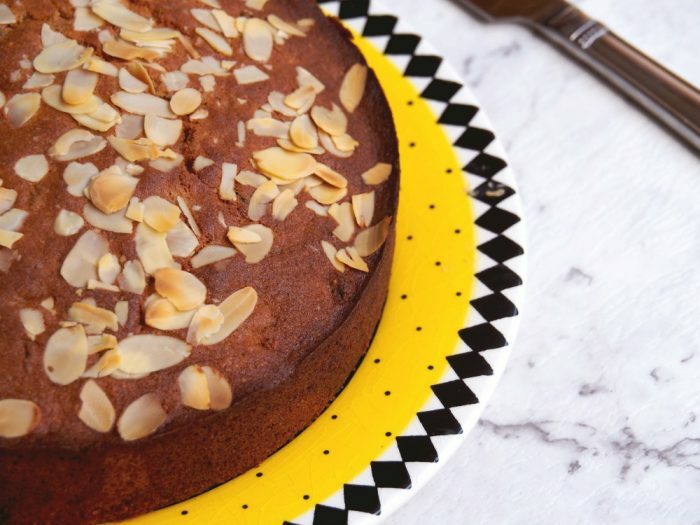 You can also use a deep 22cm square cake pan for this recipe. Bake for 50 minutes until a skewer comes out clean. This makes a great tray bake too, bake for about 45 minutes in 20cm x 30cm pan.